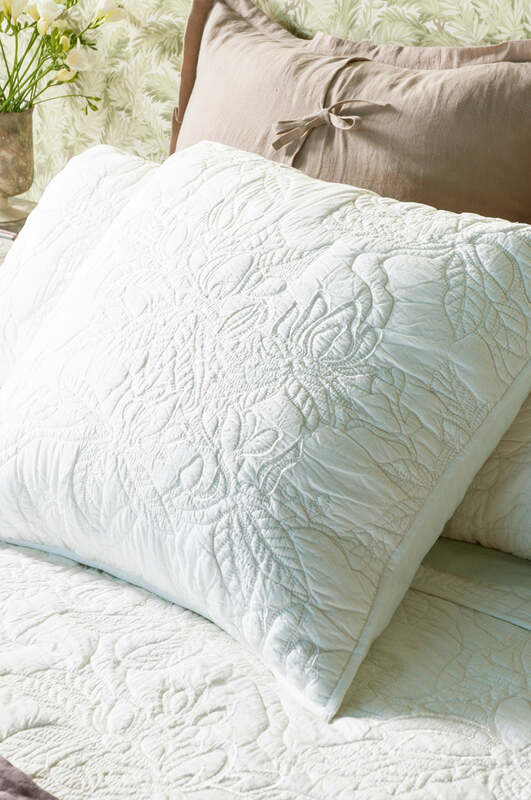 This striking, 100% cotton, machine quilted bedspread depicts stunning magnolia flowers coming into bloom. 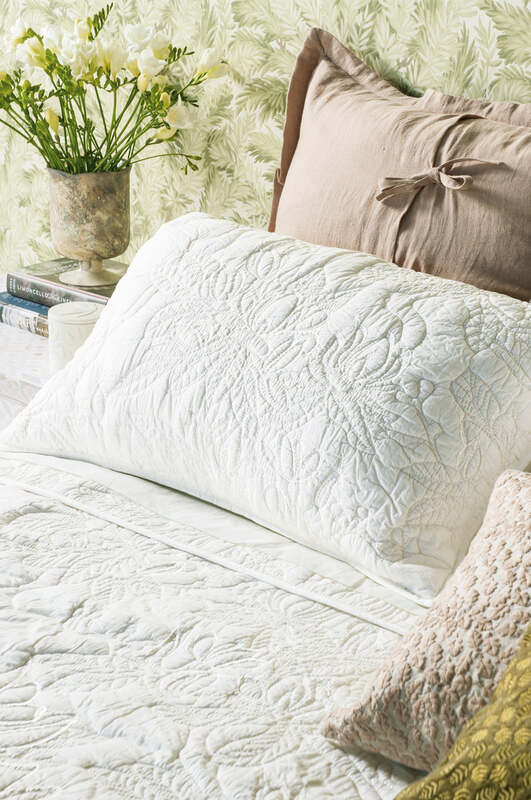 A combination of satin embroidery and hand guided machine quilting on ivory poplin brings the magnolias to life in this elegant floral design. Matching pillowshams and euroshams also available. Pillowshams can only be purchased with the matching bedspread. Unable to be purchased separately. Please send me a sample of the following swatch for grandiflora ivory bedspread.